Quinoa is a delicious source of protein and fiber. Quinoa is a whole grain seed that is prepared similar to rice or barley. It takes less time to cook than most other whole grains, which is a plus. Quinoa is also gluten-free and cholesterol free. 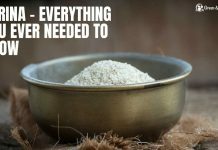 A very healthy whole grain that is an ancient grain, a grain that has been around for centuries and is still cultivated the same, as it was years and years ago. Personally, I love to make a side of Quinoa for dinner or lunch. I’ll serve it with grilled salmon, chicken, pork chops and steak. For lunches, I especially like the Q Cup™ Organic Quinoa from Now Foods. I just add water and in 5 minutes, I have a healthy 2 oz. serving of Quinoa. This is perfect for when I’m at work! There are so many possibilities when it comes to baking and cooking with Quinoa. It can be used for making crusts, breads, in soups, dips and more! I keep a bag of Quinoa Whole Grain organic and certified Non-GMO from LivingNow™ in my cupboard – it is a staple. If you are looking for new ways to bake and cook with Quinoa, check out some of these delicious recipes for inspiration.